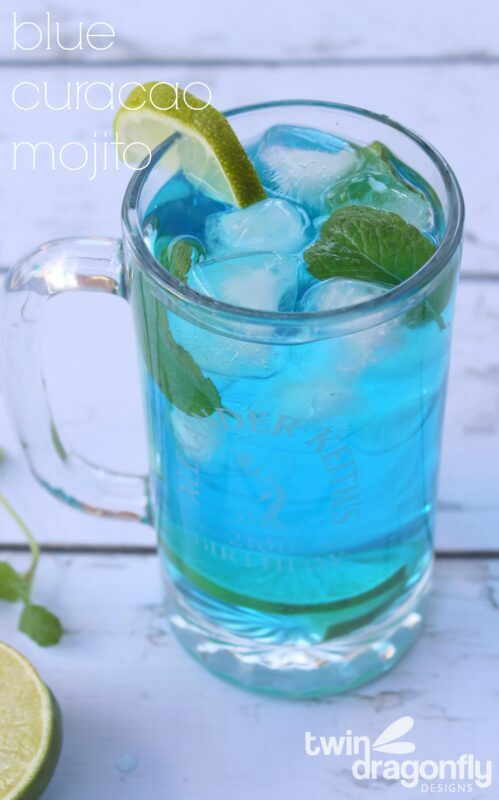 Summer is here and it is time to celebrate with this Blue Curacao Mojito! Mojitos are my go-to summer drink so I will be mixing it up while enjoying pool time with the family. 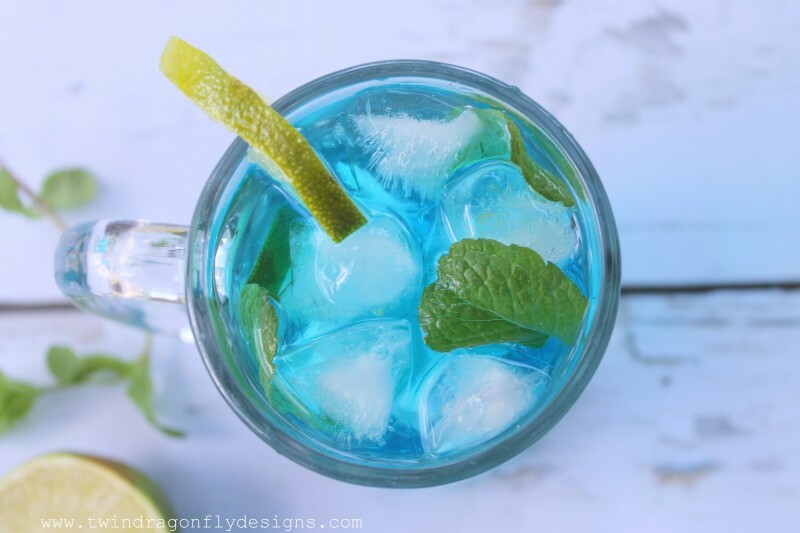 This drink reminded me of the crystal blue waters of a pool and is beyond refreshing! I often substitute 7Up or Sprite for the simple syrup and soda. It’s just a bit faster than making my own syrup. 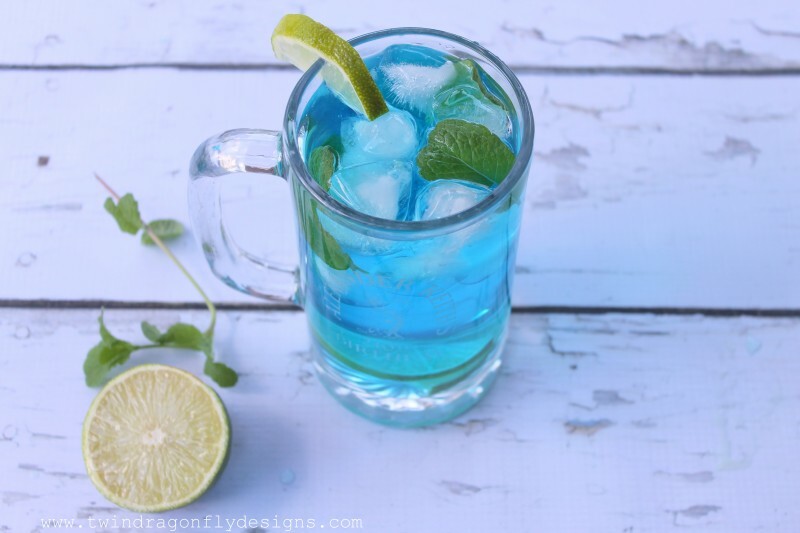 The blue curacao gives this drink it’s signature color but is totally optional. You could add watermelon, raspberries or blueberries for an even more festive drink! Enjoy! I’m a sucker for Mojitos! This looks delish! Thank you for sharing. I’ll have to give it a try.